Dolores Hidalgo is the city where Mexico’s Independence was born. 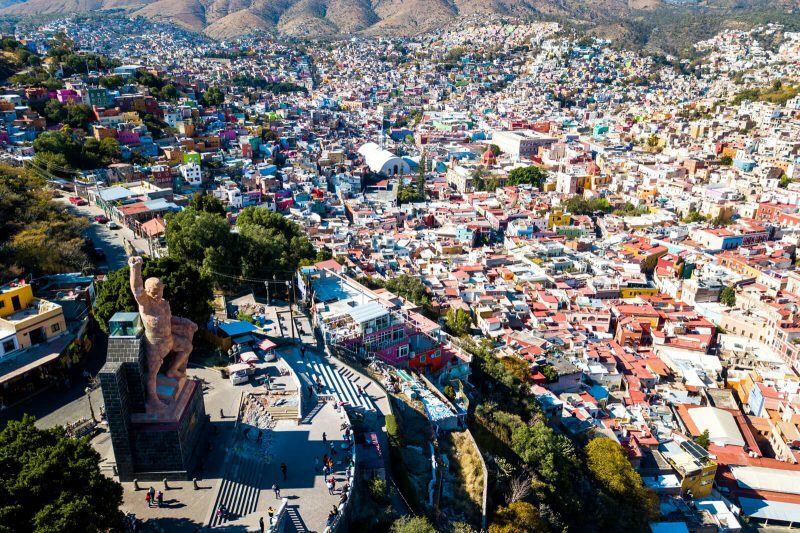 Check out the best things to do in Dolores Hidalgo, Guanajuato here! When it comes to historical cities in Mexico, you could say that Dolores Hidalgo is probably THE most important one to understand how Mexico was born. After all, it was here in Dolores Hidalgo that the Mexican Independence began. 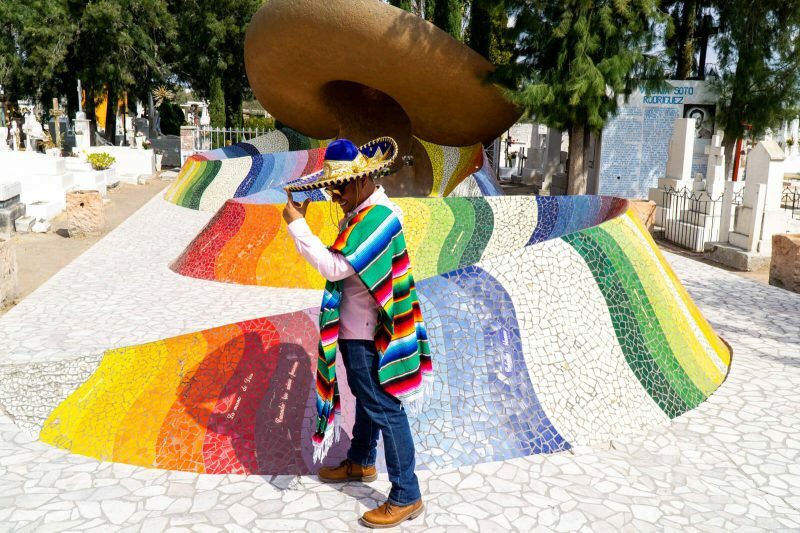 Today, you can visit Dolores Hidalgo as a Day Trip from Guanajuato City and explore some of the most important historical sites of Mexico’s Independence (plus a very cool Mariachi tomb!!!). 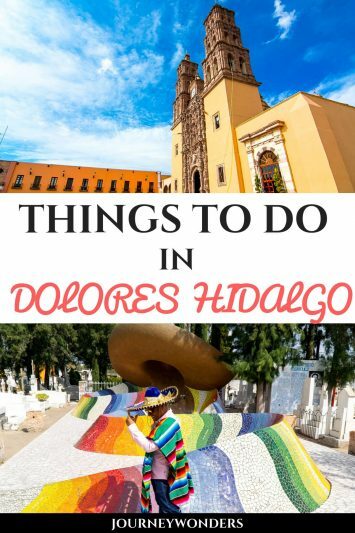 Ready for reading all about the Dolores Hidalgo Independence Tour? Here we go!!! The Mexican Independence has its origins in the city of Queretaro, where a group of higher class influential mestizos (mixed race) and criollos (sons of Spaniards born in Mexico) began to plot against the current Spanish crown, at the time led by the brother of Napoleon the First. It’s always the French, isn’t it? Historians will tell you that the original freedom fighters of Mexico were just trying to overthrow the French influence in Spain (and in Mexico, called New Spain at the time) in order to restore the power to the legitimate monarch Fernando VII (of course, the movement eventually evolved way past the original goal). Soon, the indigenous people and the middle classes began to join and see it as a fight for freedom, leading to the beginning of the Mexican Independence in Dolores Hidalgo, Guanajuato when the priest Miguel Hidalgo rang the bell of the church of Dolores Hidalgo and called people to arms. Yes, he was a very badass priest. 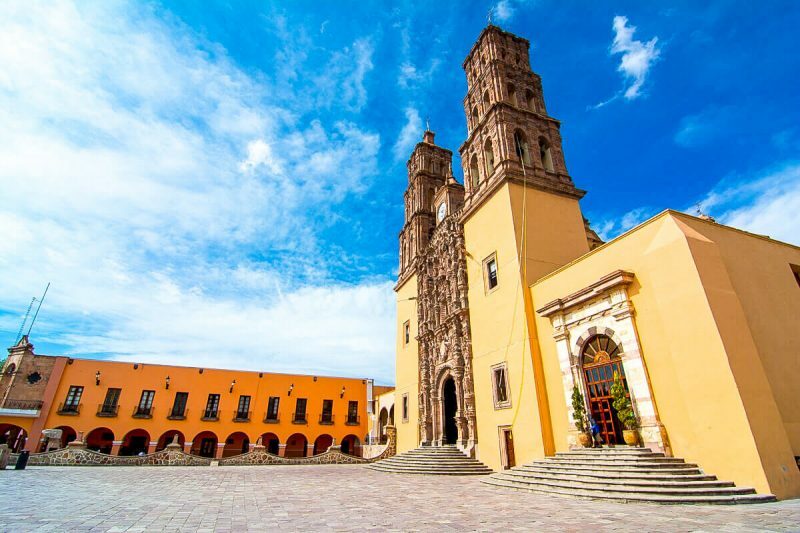 If you want to learn more about the Mexican Independence, I recommend you to take the Dolores Hidalgo Independence Tour tour starting in Guanajuato City (read all about the Mummies of Guanajuato here! ), which will take you to visit Dolores Hidalgo and San Miguel de Allende. The price is about 25 USD and yes, you can bring your luggage and ask the tour guide to drop you off at San Miguel de Allende so you can explore it the next day. Leaving Guanajuato City, the Dolores Hidalgo Independence Tour makes two stops before reaching Dolores. The first one is at an Indigenous village where a group of women got organized and started a small business venture that now produces vast quantities of jam and marmalade. The second stops is at the Tumba (Tomb) of José Alfredo Jimenez, Mexico’s greatest Mariachi. In this place you shall find people selling counterfeit CD’s and renting big Mariachi Sombreros for you to take a photo. Disrespectful? No way!!! In Mexico, death is all about celebrating life so you can even drone at graveyards without upsetting the spirits that live there. In Dolores Hidalgo, your time will be spent visiting museums related to the Mexican Independence that took place here back in 1810. The first is the house of the descendants of Miguel Hidalgo (which, other than a few small-scale replicas of the battles ,it’s totally skippable), the second one is the house that Miguel Hidalgo inhabited (which is interesting but I feel that you can probably skip it too). Afterwards you’ll have a culinary tasting of about 20 different bizarre flavors of ice cream (have you imagined eating beef, avocado, tequila and duck ice cream?) and some free time to roam the downtown area. A visit to the Dolores church where Miguel Hidalgo rang the Independence bell is definitely a must!!! 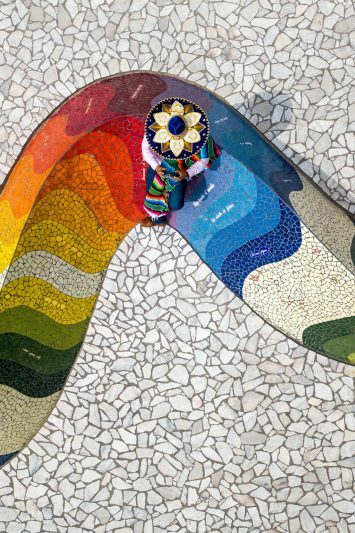 Once your time in Dolores is up, you’ll visit a Talavera workshop and a traditional Mexican restaurant with no vegan option whatsoever (carne asada is the best!) before reaching the next town of the Dolores Hidalgo Independence Tour: San Miguel de Allende. Sadly, my time in San Miguel de Allende, the world’s best city to live in according to a 2013 poll, was extremely limited. The Dolores Hidalgo Independence Tour visits the the place where Miguel Hidalgo grabbed the flag that would lead his movement against the Spaniards: the Atotonilco Chapel. Entrance is free of charge and you are welcome to take as many photos as you want. 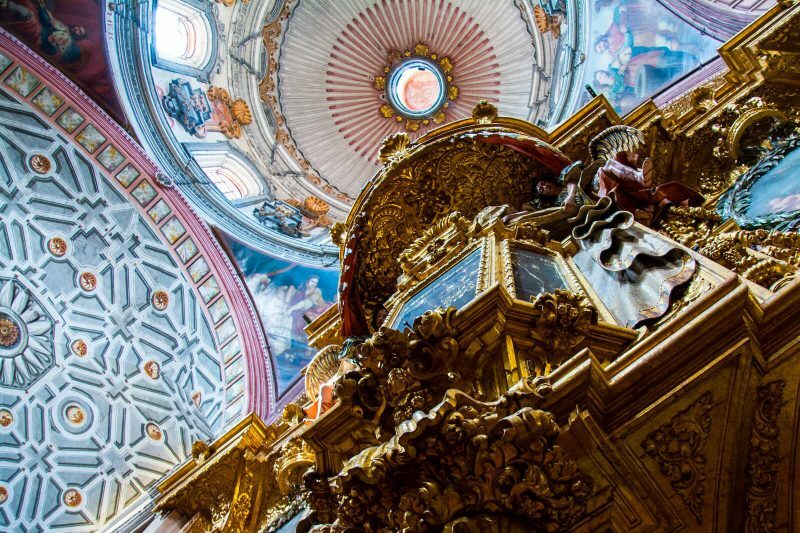 Some people dub it as the Sistine Chapel of Mexico although I kind of failed to understand why. 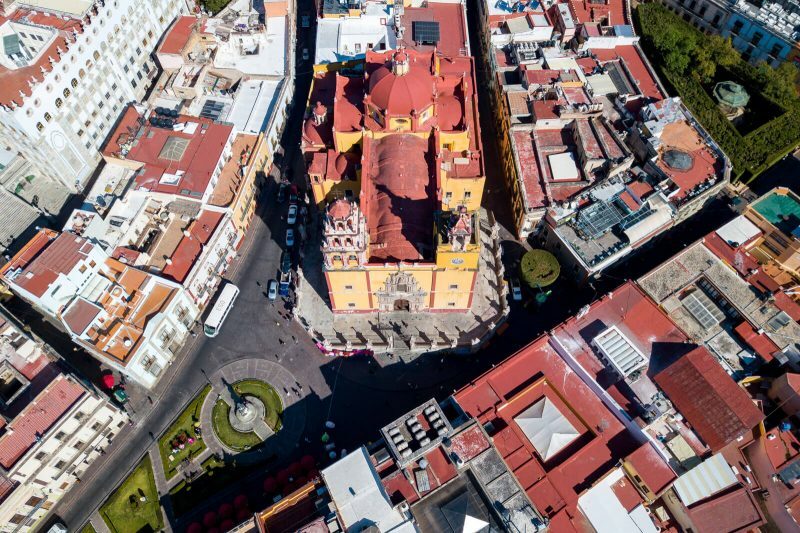 Once everybody is ready to leave, the Dolores Hidalgo Tour goes to the lookout located in the northern part of San Miguel de Allende and gives you a couple of hours to explore the charm of this marvelous town. 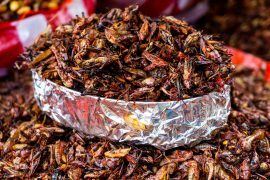 Of course, an hour is never enough so here’s an article detailing the best things to do and see in San Miguel de Allende should you choose to stay the night here. Coming full circle, the Dolores Hidalgo Independence Tour ends at the Alhondiga de Granaditas in Guanajuato. Of course, the tour ends in the night so you have to wait until the next day to visit Mexico’s most gruesome landmark on your own. I’m not kidding, if you thought the Red Wedding was too bloody, you haven’t seen nothing yet. Imagine this: You’re in charge of a rag-tag army of poorly equipped warriors and your goal is to defeat the Spaniards who have walled themselves in this impenetrable fortress and are using rifles to kill your people from their rooftop. What would you do? Panic? Flee? Go to a hill to throw some stones? No! (Alright, they kind of tried to do the last one but it failed). What they did was to ask a brave man, known as the Pipila, to carry a huge stone on his back and use it as a shield against the riflemen that stood in the rooftop. Moments later, bleeding, he finally reached the wooden door of the fortress and he torched it down. Soon, the angry revolutionaries entered the Alhondiga and massacred the Spaniards, women and children included, who had committed so many abuses against them. Was it justice or was it revenge? And more importantly, did it matter? As he walked among the dead bodies of the Spaniards that he once considered as friends, Miguel Hidalgo realized that this movement wasn’t going to end with the restoration of Fernando VII to power. It was in this moment that he knew that the Independence movement was bigger than any of them. It was time for a change, it was time to fight for our freedom, to fight for our brothers, to fight for our independence. It was time for Mexico to be reborn. Miguel Hidalgo was eventually captured in 1811, one year after the Mexican Independence started. He was executed along with his three most trusted men and their heads were put on display on each corner of the Alhondiga in order to deter any future revolutionaries. Not even King Joffrey was this cruel!!! Of course, the Spaniards’ plan backfired immediately since instead of getting scared, the people got angrier and ten years later, Mexico finally achieved its independence in September 27th 1821. So why do we Mexicans celebrate the date of the beginning and not the one of the ending of the Independence? Because beginnings are about hope and when your chips are down, hope is all that matters, don’t you agree? 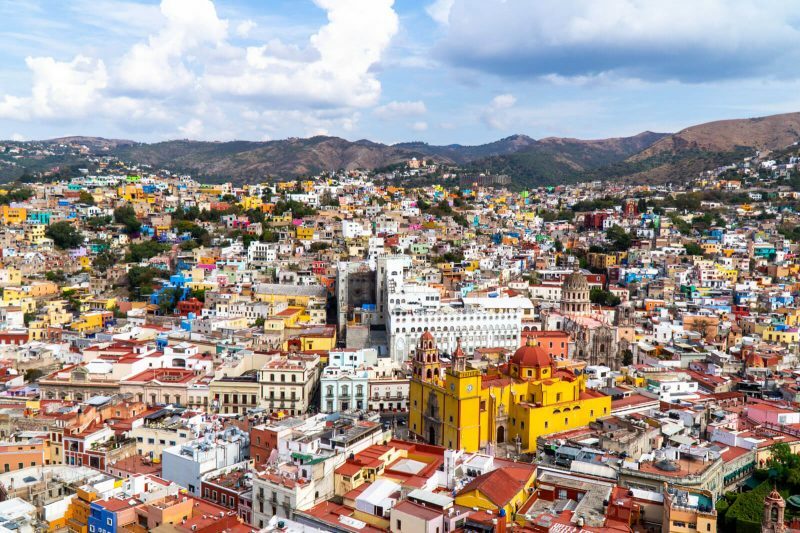 When it comes to accommodation, Guanajuato has plenty of awesome choices located within the historical centre of the city. Here’s a list of my recommendations for all types of budgets. If you’re looking for luxury Hotels in Guanajuato, look no further than Hotel Boutique 1850 and Villa Maria Christina Hotel for some colonial era charm. When it comes to budget hotels and hostels in Guanajuato, your best options are La Casa de Dante and Hostal La Casa del Tio. You can make a booking for this and more properties via our Booking.com Affiliate Link of Wonders ! Same price for you and a small commission for this website of yours. Sweet deal, right? I hope you have enjoyed this article about Dolores Hidalgo and the Mexican Independence Tour. Don’t forget to subscribe in order to get more awesome updates and tips straight to your e-mail! Have you ever been to Dolores Hidalgo? Would you like to? What are some of your favorite historical cities in Mexico? Share your thoughts and let me know what you think! The Best Things to Do in Oaxaca City: Food, Pyramids and Dia de Muertos!